Young People for Political Action at WF In Burkina Faso! Championing the Rights of Slum Residents in Delhi! 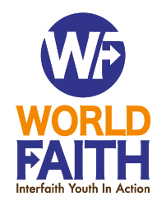 Agriculture, Water, and More at World Faith Banjul! Agricultural development and clean water accessibility are priorities for the World Faith Chapter in Banjul, Gambia. They recently collaborated with the Jiboroh Koto community to maintain the village well to ensure clean water for the village, and kicked off a fundraiser to build a separate drinking area for cattle. They’re also working on a farm that will support the already successful Mango School. In March, they began a plan to make the school completely self sustaining! The farm will support teacher salaries, which will play a large role in making that dream a reality! Check out the latest photos from the farm below!